Comic brings 'Talent' to MTSU ..
Knoxville, Tennessee-based TNFIRST sought a site to hold its FIRST Tech Challenge Tennessee Regional Robotics Competition. With one of the fastest growing robot-driven mechatronics engineering programs in the nation, MTSU offered the solution. MTSU College of Basic and Applied Sciences Dean Bud Fischer said he openly welcomes programs like FIRST Robotics. “They are imperative to the future of engineering and technology,” he said. The regional competition for 28 teams and 300 middle school and high school students with a keen interest in all things robots will be held from 11 a.m. to 7 p.m. Saturday, Feb. 2, in MTSU’s Alumni Memorial Gym, located at 2610 Middle Tennessee Blvd. in Murfreesboro. The event is free and open to the public. Teams from Knoxville, Memphis, Tullahoma, Lawrenceburg, Oak Ridge, Shelbyville, Manchester and Nashville, along with Dayton, Ohio, will be competing. Murfreesboro’s entry, Tennessee Robotics Club, is mentored by Mike Puckett. 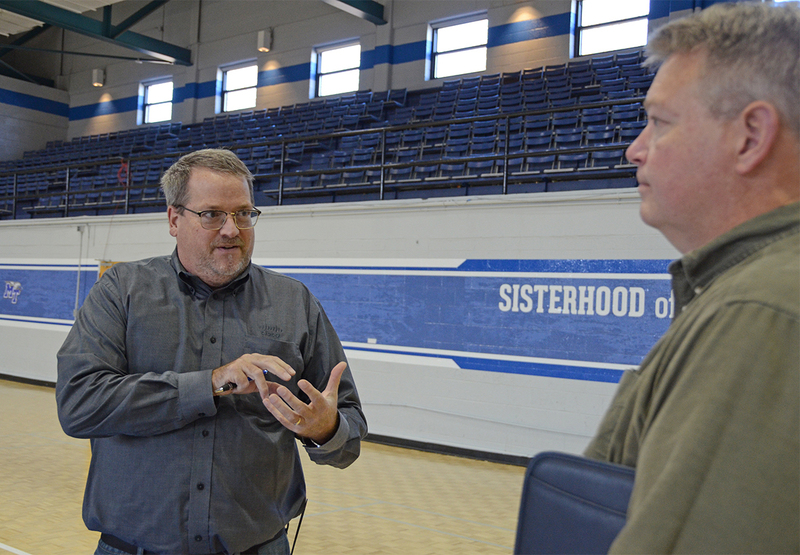 “We’re seeing our next generation of engineers, designers, programmers and scientists (at these events),” John Rozell, director of research and developmental labs for MTSU’s engineering technology department, said of the participating seventh- through 12th-graders. Mechatronics engineering combines mechanical, computer and electrical engineering along with systems integration and technical project management. Teams comprise up to 15 students and two to three mentors. 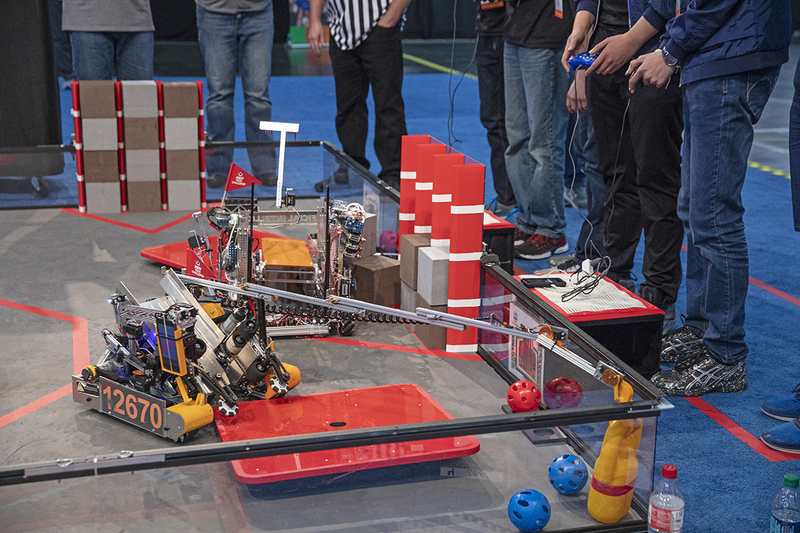 Participants and their robots compete within a 12-by-12-foot playing field. Each robot’s starting maximum dimensions must be 18 inches wide, 18 inches long and 18 inches high. Android technology powers the robotics kit, which also features professional-quality software options and includes 11 motors, nine sensors, two game controllers, wireless communications, metal gears and all the building materials participants need. This year’s game is called “Rover Ruckus,” using a 2-on-2 format played on the 12-by-12 field. Sixty matches are scheduled to rank the 28 teams, and elimination matches will determine the event winner. Awards will be presented at the end of the competition. 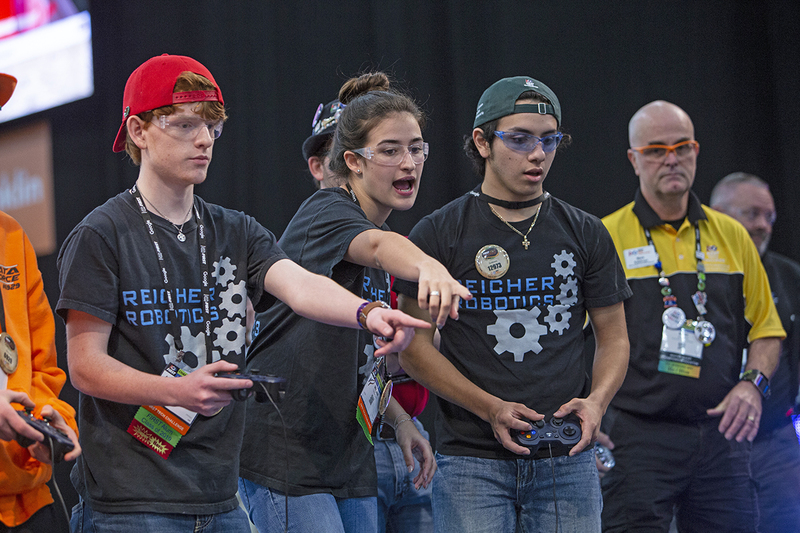 Mike Wehrenberg of Knoxville is chairman of TNFIRST, a nonprofit corporation organized to provide resources and activities that build and expand mentor-based robotics programs throughout Tennessee. The mission of FIRST is to inspire young people to be science and technology leaders and innovators by engaging them in exciting mentor-based programs that build science, engineering and technology skills; inspire innovation; and foster well-rounded life capabilities, including self-confidence, communication and leadership. To learn more, visit https://tnfirst.org.